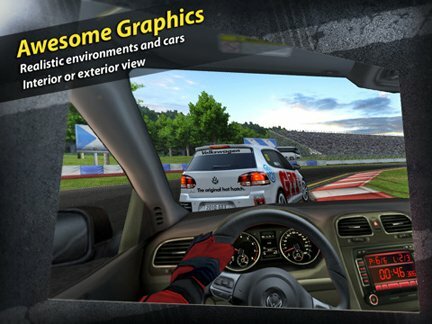 Just in time for some truly magical iPad 2 hands-on videos featuring games being played on the new device, developer Firemint has announced that the brand new version of award-winning game Real Racing HD will take advantage of the more powerful graphic capabilities offered by the iPad 2. Firemint says they were not aware of the detailed specs of the iPad 2, but they had a fairly accurate idea that turned out to be good for what they've been building. That means gyroscopic controls, faster graphics, lighter form factor easier on gamers' hands when holding the device. Real Racing 2 HD has been significantly enhanced beyond what could work on existing devices, and our efforts have definitely given us a head start on iPad 2. All these attributes combined with our enhancements to Real Racing 2 HD will create the most precise and intuitive car racing experience on any device. The 1080p HDMI output also opens up some great possibilities. We can't wait to see more developers jumping on board with great-looking games built specifically for the iPad 2. March 11 can't come soon enough.